This top of the range product dominates its competition by having an amazing 32 steps of damper adjustability, bound adjustment, height adjustment and on various models camber adjustment. Camber on some models can also be adjusted via the lower bracket with our larger bolt hole design. 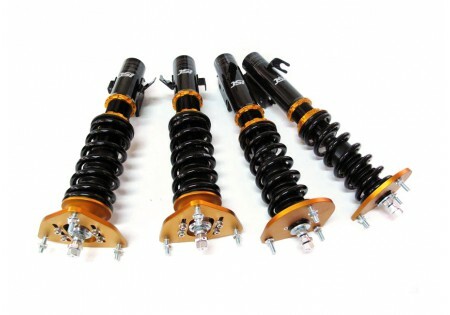 ISC coilovers feature precise damp valve control that allows smooth operation on all road surfaces. With high rigidity steel piston rod design, ISC can meet any race/sport standards. Sport springs on their coilovers are made from high quality SAE9254 steel and tested on over 500,000 times on compression inspection with less than 5% deformation. High quality T6061 aluminium alloy used for all adjustment locks to provide a lightweight design that holds spring and vehicle down force. 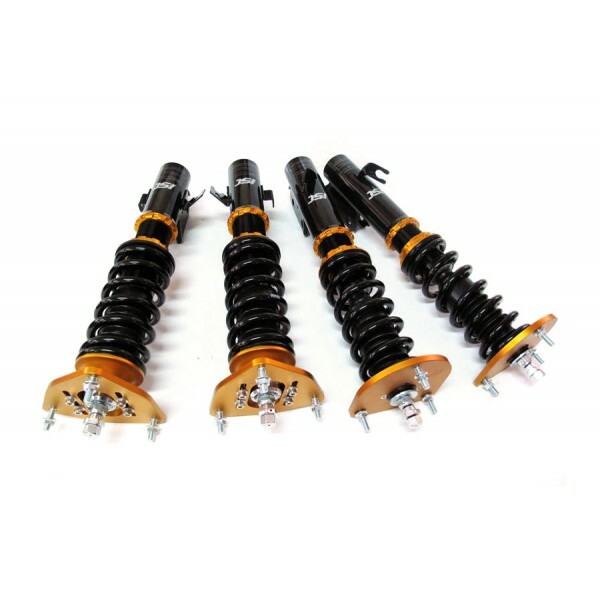 Larger cylinder and piston design to advance driving stability and dexterity.he ISC N1 coilover can be lowered approximately 3 inches lower than factory ride height.